APCREC（Asia Pacific Commercial Real Estate Committee） is founded by Linver Insights. The mission is: taking advantage of "trend", understanding essence of "method" and perfecting skill of "solution". APCREC hosts annual Asia Pacific Commercial Real Estate Cooperation Forum—China Summit in May around Asia Pacific region. 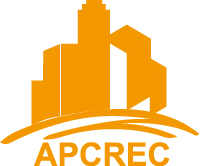 APCREC Forums focus on the whole value chain of commercial property industry, covering hot topics on policies, macro-market analysis, property investment, asset management, project positioning & planning, architecture design, performance efficiency, leasing & operation, etc. Each APCREC summit gathers overseas and local commercial real estate developers' group heads, governments, financing groups, design masters, retailers, hotel management groups, products and software providers, and consulting agencies. The number of delegates grows gradually every year. Up to the fifth annual one in November 2013, the attendees' number reaches to 400. 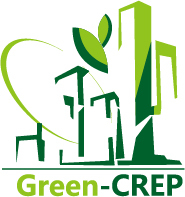 Green-CREP（Green Commercial Real Estate Practice） is founded by Linver Insights. The mission is: "sustainably" shaping the best urban spirit and making city healthier and more prosperous. Green-CREP hosts annual Asia Pacific Commercial Property Architecture·Design· Performance Summit in November around Asia Pacific region. Green-CREP co-organized the first annual event in 2012 with ECADI and gathered eminent speakers from Vantone, Landesea, Taipei 101 and etc. In 2013, Green-CREP hosted the second annual one. The most interesting thing is that all these engineers or project heads were not only technique guys, they stated to have more sense on commercial business sectors. The event attracted participants from chain-store developers like Powerlong Group, practical ones like Chongbang Group, hotel-oriented developers like Greenland Group, luxury hotel owners like Banyan Tree and etc. Up to the second annual one in November 2013, the attendees' number reaches to 350.